Back in the 1970s, keyboardist / composer Stefan Nilsson was one of the key artists to emerge during the critically acclaimed European jazz-rock boom of that golden decade. As the leader of the Swedish jazz-rock fusion band Korneta band that released three excellent jazz-rock albums along the wayNilsson was also very active in a supporting role, recording and touring with Sweden's greatest jazz-rock musicians of the era, including guitarist Janne Schaffer and the late, great flutist / keyboardist Björn J:son Lindh, as well as live shows with the late, great Finnish jazz-rock-fusion bassist / composer Pekka Pohjola. In the mid 1980s the NYC based Breakthru Records was instrumental in bringing Nilssons music to the US, as was realized on the 1984 Breakthru Lp release of Nilssons album classic Music For Music Lovers. In 1986, Nilssons first CD releasea Neoclassical instrumental music masterpiece, featuring Stefan's grand piano and orchestra called Romantic Piano Dreamswas also released on CD by Breakthru in early 1986 . Despite critical acclaim for his solo albums, in the ensuing years, Nilsson ventured away from the jazz fusion sound and went on to score film soundtracks for a number of critically acclaimed movies, mostly from Sweden and Scandinavia. Other session work followed throughout the years and now in 2015, Stefan Nilsson is back with his first album of jazz-rock instrumentals in years, entitled The Gift. Its almost as if its 1985 again as The Gift is full of magical and memorable, heavy keyboard based, jazz rock fusion instrumentals. 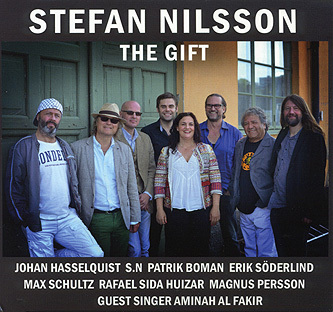 The Gift features Stefan backed up by a full band, including electric guitarists Max Schultz and Eric Söderlind, along with other fine musicians such as percussionist and album engineer, the late Magnus Persson, who passed away at the end of 2014 and for whom The Gift is dedicated. Most of the music on this 11 cut CD are Stefan Nilsson originals that feature his one of a kind electric keyboards backed by a complete jazz fusion band. There are also two swinging Nilsson adaptations of J.S Bach classicsincluding the title track "The Gift", which is based around Bach's Dm Concertoas well as a stately cover of Vivaldis Winter, from the famous Four Seasons classical suite. There are another two covers here with Nilsson and company performing Honeysuckle Rose, written by Fats Waller and Dont Get Around Much Anymore, the old evergreen by Duke Ellington. Anyone familiar with Stefan Nilssons music will be delighted to find that The Gift is one of the most varied and well rounded albums to date by the much appreciated musician. Those music fans who enjoyed Nilssons ground breaking work with Kornet as well his selected solo discography, including Romantic Piano Dreams and Music For Music Lovers, will find much to appreciate about The Gift. Stefan Nilsson's long awaited return to the jazz-rock fusion world, The Gift takes its place as one of the finest keyboard-based instrumental fusion albums of the decade and may, in fact be ultimately regarded as Nilssons crowning achievement to date as a recording artist. mwe3: I cant believe its been 30 years since the days of Music For Music Lovers and Romantic Piano Dreams in 1985. 30 years ago this summer! Wow. One third of a century. So much has happened. The whole world changed. Can you tell us some of the key events that happened for you and your music over the years? I know its a lot to summarize but I knew you went well into film music. How did you make the changes? Stefan Nilsson: 30 years! I cant believe it! What happened? (lol) I worked as a musician in the studio and in theaters while touring with different artists, for example 25 years with the great singer Tommy Körberg doing albums and tours and theater performances, while the film projects came to me more and more. The film directors in the 1980s liked Kornets music, and the Nordic Tone in my music from that time, inspired the producers of films in Sweden, Denmark and Norway. In the beginning of 2000, I composed music for ballet Pippi Longstockings, with George Riedel and The Hunchback of Notre Dame, later in 2009. In 2004 I composed the film score to As It Is In Heaven. Gabriellas Song, from that film is still a big hit all over the world. The 1970s fusion-energy music was still in my heart. I cant forget it! So I had to go back and The Gift began to grow. mwe3: I remember meeting you in Helsinki and Pekka Pohjola was there too. Was that in 1980? I cant remember! lol What do you remember most about Pekka Pohjola as I know you and he were friends. Also Björn J:son Lindh as well is gone. Stefan Nilsson: I think we met in 1979? December 8th, 1980 when John Lennon was killed, Pekka was in Stockholm, and we had a gig in a club. We played for John. It was a heavy funk gig with crazy solos. Pekka wanted me to come to Finland and work with his band, but I had so much work in Sweden at that time, so I had to say no. I worked with Janne (Schaffer) and Björn, doing recordings and tours. We performed in July 1980 at the Montreux festival. Björns album Atlantis is great and Lake District is a masterpiece. Pekka was the magic bass! He got more and more into the symphonic world as a composer. Nothing could stop this man! mwe3: What were some of the key events that led to the creation of The Gift CD? Seems like you had a lot of great music that needed to come out. Is there a reason why you called it The Gift? I understand some of the tracks go back to the Kornet days? When were the tracks written? Is it a gift to your fans? Its interesting to note that your music with your band Kornet is also mentioned in liner notes for The Gift. Has any CD come out yet of the early Kornet albums? Stefan Nilsson: The players in the band have their backgrounds in the 1970s. We just began to get together for fun and trying our creativity in 2013. I wrote and arranged most of music but I wanted everybody to feel free with the material. Magnus Persson had a studio in Beckholmen where we began to record just for fun. The results went surprisingly well to my ears. So I decided to produce a CD. The production time was very slow with no stress. The time of Kornet was really an inspiration to The Gift. You can listen to Kornet's first album on Spotify and I think the second and third albums will come this year. Yeah, you could say that this album is a gift to the music lovers! 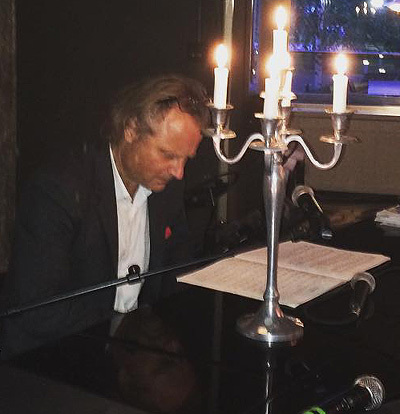 mwe3: The Gift is dedicated to the late Magnus Persson who passed away near the end of 2014. What can you tell us about Magnus and how far back did you go with Magnus? What did he bring to The Gift as drummer and percussionist? Stefan Nilsson: I played with Magnus in the 1980s and we had a studio together for rehearsals and we played in different groups. 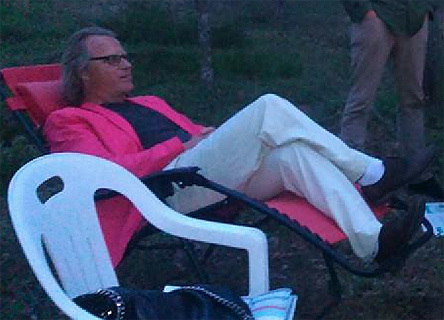 Magnus moved all over the world, and I began the composing trip for 20 years. 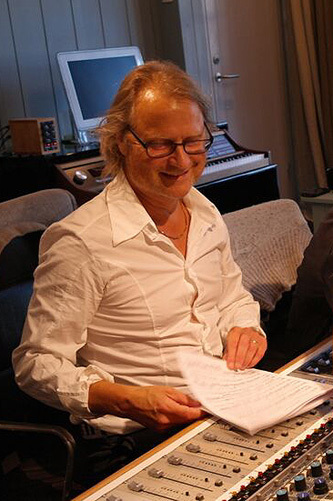 At that time Rune Persson, a legend in the studio engineering world recorded several film scores that I worked on. Magnus and I didnt get together for around 25 years I think. In 2013 Johan Hasselquist, the drummer, asked me one day about jamming with some of the guys. We got together with Max, Patrik and Erik and Magnus, who was back in Stockholm. We had 3 crazy gigs in some small clubs in Stockholm. The bands name was Lets Go. We got some more gigs but Magnus had gotten a session in Brussels and Max was on tour, so thats why Erik, the guitarist, and Rafael, the percussionist joined the band. The recording was Magnus idea and I wanted everybody  Max, Erik, Rafael, Magnus, Johan and Patrick to be there. Two guitarists and two percussionists. Wow! In the Spring of 2014 we recorded 11 tracks. Magnus played percussion, vibes and drums on some tracks and he also organized and kind of fixed the recording. We all miss Magnus. He spread so much lust and joy in the studio! mwe3: Track 1 on The Gift is called Yttersti. What does that title mean and can you tell us when that track and when, some if not all the tracks on The Gift were written and recorded? 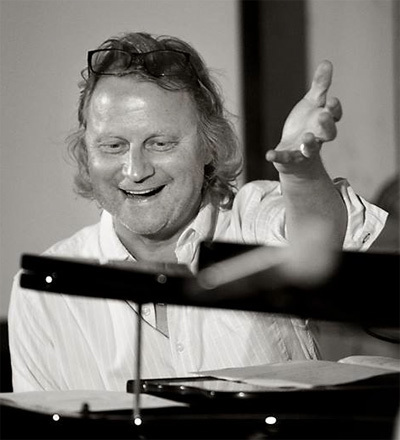 Stefan Nilsson: Yttersti is a magic place high up in the north of Sweden, where I have arranged concerts with different artists, every year in August since 2000. The first track on The Gift, Yttersti is dedicated to that place and the people living there. It was written in 2008 and recorded in 2014. The other tracks had been in my head, some of them for a very long time, but I didnt have the energy to get them out! When I got together with these guys everything came out so easy. mwe3: On The Gift, did you use any of the keyboards and synths from your early years of recording, even going back to Kornet and your 1980s era? Stefan Nilsson: Im using a Roland 700 on the whole album. I was using the Steinway Grand in many recordings, but I really wanted to go back to the electronic world again. mwe3: After the mid 1980s and Romantic Piano Dreams, you stopped making jazz-rock albums but you didnt stop writing and recording and in fact you went on to work on some very high profile film soundtracks. Tell us about working on the Ingmar Bergman related movies that you did the film scores for and some of the other movies and soundtracks that you were involved with and that are featured on your double CD Filmmusik on Virgin Records. Stefan Nilsson: For The Best Intentions, the story about Bergmans parents, the director was Bille August, who I worked with in Pelle The Conqueror. It was a magic job with those great movies. The simple piano notes in The Best Intentions is my favorite. I was involved in the project for eight months but I never met Mr. Bergman. The CD Filmmusik - Stefan Nilsson, features 19 tracks with film themes from movies such as Jerusalem, Best Intentions, Martin Beck, Pelle The Conqueror, Juloratoriet among others, including Skärgårdsdoktorn (the TV series) and As It Is In Heaven with Gabriella's song, that was released as a CD from 2004. I also have material for a new CD of film music. Film music from 2014 is in progress. On you tube I have, together with my wife Lotta, produced Jubelsången and Jubelsången Celebration Mix. A celebration to Life! In Sweden Jubelsången is performed in choir concerts and by solo artists. 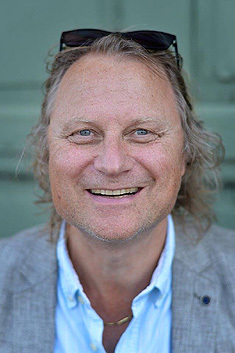 mwe3: Have you spoken or done anything recently with Janne Schaffer and how about Dag Haeggvist from Sonet? Those early days of the late 70s and early 80s period were the best as I recall it. I guess that what makes The Gift such a gift! Stefan Nilsson: Dag just sent an interesting mail. They want to give me the Romantic Piano Dreams painting by Carsten Regild as a gift. The painting has been there in Sonets office since 1985. Fantastic! I worked in the studio and toured with Janne in the beginning the 1980s. Yeah, The Gift is such a gift in this lovely and crazy music world. mwe3: Theres a couple of J.S. Bach related covers on The Gift. What made you reach back to Bach so to speak? Menuet is one of his most famous, so Bach continues to get around so to speak. Only you could make Bach rock and even get funky as you do near the close of the track! Can you also tell us how Bach was an influence on your early musical experiences? I was always interested in hearing about your early music heroes growing up. From Bach to Oscar Peterson to Chick Corea. Stefan Nilsson: Bach is God. He is the father and inspiration to all composers after him. For a long time I dreamed of doing something spectacular with Bachs music. The Menuet is a crazy mix of jazzy 3/4 and blues-rocky 6/8. I loved the pop music from the 1960s and 70s. And the jazz heroes like Errol Garner and Oscar Peterson gave me so much happiness and inspiration to me as a musician. Later, Keith Jarrett and Chick Corea, and I think you can hear some inspiration from these magic men in some parts of The Gift. mwe3: While Menuet is almost reverential, track 3, the title track of the CD, The Gift, is actually based on Bachs D-minor Concerto. You really rocked that and its a fine title track. I cant think of one genre of music that isnt on that song, from rock and jazz to a kind of Nilsson-esque classical fusion. What can you tell us about that track? The melody is so intrinsically stately so of course it makes a great title track! Stefan Nilsson: I experimented for several years with the D minor concerto and after some years I gave up. The original is so complete and is fantastic music, so I had to make something really special. So suddenly it worked with this band. I love Patrik Bomans bass in this piece! mwe3: How about track four on The Gift, Martin Beck Theme? I heard Martin Beck was a fictional Swedish police detective so he has a history in Sweden at least. Have you played that song before? 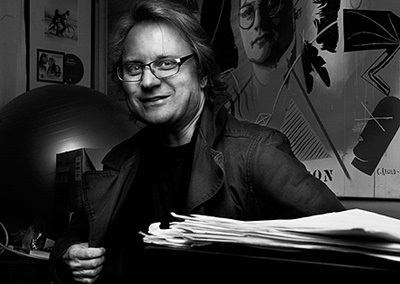 Stefan Nilsson: I composed the theme for the Martin Beck TV series. It was nice to do it more freely with Erik Söderlind. mwe3: Lets Go is a very upbeat track that features your entire band. Do you think theres a Swedish music influence on that track? Where did the musical ideas behind Lets Go come from? Stefan Nilsson: The influence is from Dalarna in Sweden. With its heavy folk-tone style, it fits this band perfectly. mwe3: Keltsong reminds me of the Kornet days. Sounds pretty timeless to me. Can you compare the early Kornet sound with your version on The Gift? Stefan Nilsson: Keltsong is from the Kornet days. It was nice to improvise over the themes and the Max Schultz guitar solo is magic! mwe3: Your Fats Waller cover of Honeysuckle Rose comes as a surprise. Its so upbeat and the guitar work on it by Eric Söderlind is great. Stefan Nilsson: Fats Wallers Honeysuckle Rose and Duke Ellingtons Dont Get Around Much Anymore are so well known in the jazz standards world. I wanted to do completely different versions of these great songs. mwe3: I think youve hit a new groove of funkiness with The Gift cover of Duke Ellingtons Dont Get Around Much Anymore. Is that Animah doing vocals? Why didnt you use the words too? I guess you wanted to bring out the melody so it works on both levels both as a song and instrumental too. Stefan Nilsson: Aminah is the guest singer on this CD. When we had recorded the 11 tracks I begun to experiment with some overdubs. So Aminah came in late to the project and I wanted to use her voice like an instrument. mwe3: Track 9 is The Happy Gang. Is that track a kind of free form jam? Is the first part improvised while the second part has more melody? Any special notes on that track? Stefan Nilsson: I love this kind of free jam, and its the same idea as in the two standards. The musical themes comes in the second part of the song. mwe3: The Vivaldi cover of Winter on The Gift is great. Its actually the fourth part of "The Four Seasons" symphony. Was this one of your favorite orchestral works by Vivaldi? Hard to believe it goes all the way back to 1726 and its still being played and recorded. What kind of sonic approach did you take on Winter? 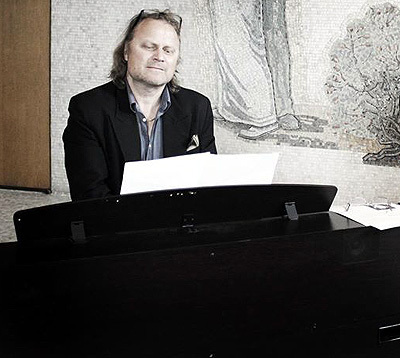 Stefan Nilsson: My talented and lovely wife Lotta introduced Vivaldis Winter to me. She played it on the receiver and I immediately fell in love! The arrangement gives the performers much space to improvise but theres also some very concentrated playing. When we had recorded it, I worked with the fantastic Aminah al Fakir and Vivaldis magic melody lines were born again. mwe3: Sana Sananina is the last and longest track on The Gift. Being that its a traditional song, when did you first hear it and then decide to cover it? Is that a Swedish song? mwe3: What else are you doing musically and otherwise what else is new and interesting for you in Sweden these days? Stefan Nilsson: Im working with film director Dheeraj Akolkar on a film project about my childhood in the north of Sweden. I worked with Deehraj on his 2012 film Liv & Ingmar, which is Livs story about Ingmar Bergman. Check it out on the web. We are just in the beginning stages of this project!